General objective of this report is to analysis the Roles and Responsibilities of Managers at Different Levels of the organizational Hierarchy in the Quasem Drycells Limited. Another objective of the paper is to observe the practical use of management in an organization. Report also observe the process of management, hierarchy of management as well responsibilities and skills of managers in Quasem Drycells Limited. This paper has three specific objectives, which again obtain few sub points. First one is to know the theoretical knowledge of management in the organization. Another objective of the paper is to observe the practical use of management in an organization. This part we observe the process of management, hierarchy of management as well responsibilities and skills of managers. Finally, the comparison of theoretical knowledge of management and practical use of management in an organization. It is basically helps us to find out the importance of theory about management in practical life. 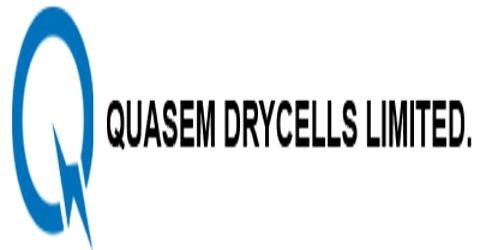 Quasem Dry Cells Limited is the largest dry cell manufacturing & first ISO 9002 certified company in Bangladesh of its kind. The journey started in June 14, 1980, where the company brought a new era of modern battery manufacturing technology in Bangladesh. And now it’s representing as a pioneer company in terms of Dry Cell Manufacturing, where it has successfully established its ‘SUNLITE’ brand as a leader in the dry cell Industry. Their mission is to improve the quality of life people by providing comforts and conveniences at affordable price. To be the most admired and respected family company in the country. Continue to achieve growth in sales. Ensure attractive return on shareholders funds. Expand their marketing Network all over the country to be nears to the customers for their convenience. Continue to develop their human resources. To reduce cost of raw materials. To reduce spare and maintenance cost including improving user satisfaction. To increase existing service life of battery. To reduce breakdown timing of major machines. To install software package including improving user satisfaction of computer. To increase efficiency of factory employees. Management Function that involves the process of defining goals, establishing strategic for achieving those goals and developing plans to integrate and coordinate activities. Planning and decision making help maintain managerial effectiveness by serving as guides for future activities. That is, the organization’s goals and plans clearly help managers know how to allocate their time and resources. Management function that involves the process of determining what tasks are to be done, who is to do them, how the tasks are to be grouped, who reports to whom, and where decisions are to be made. The basic elements of organizing are job design, departmentalization, authority relationships, and span of control, and line and staff roles. Management function that involves monitoring, subordinates, influencing individuals or teams as they work, selecting the most effective communication channels, or dealing in any way with employee behavior issues. Management function that involves monitoring actual performance, comparing actual to standard and taking action if necessary. As the organization moves toward its goals, managers must monitor progress to ensure that it is performing so that it arrives at its ‘destination’ at the appointed time. Controlling helps ensure the effectiveness and efficiency needed for successful management. Someone who works with and through other people by coordinating their work activities in order to accomplish organizational goals. Managers can be differentiated according to their level in the organization. Although large organizations typically have several levels of management, the most common view considers three basic levels: top, middle and first-line managers. Managers at or near the top level of the organization who are responsible for making organization-wide decisions and establishing the goals and plans that affect the entire organization. Titles found in this group include president, vice president, and chief executive officer (CEO). Top managers create the organization’s goals, overall strategy, and operating policies. Mangers between the top level and first-line level of the organization who manage the work of first-line managers. Middle management is probably the largest group of managers in most organizations. Common middle-management titles include plant manager, operations manager, and division head. Managers at the lowest level of the organization who manage the work of non managerial employees who are involved with the production or creation of the organization’s products. Common titles for first-line managers are supervisor, coordinator, and office manager. Positions such as these are often the first held by employees who enter management from the ranks of operating personnel. In carrying out the five major management functions, Mangers perform various roles. A role is a set of expected behaviors. A, manager is expected to serve a number of roles and to be a good role model. First, managers perform a number of interpersonal activities by virtue of their position in the managerial hierarchy. Second, the communications that flow to and from managers make it necessary for them to process information. Third, the fact that a manager is a conduit and communicator means decisions must be made; managers are the key decision makers in organizations. These aspects of managing are referred to as roles, or behaviors associated with the position. The roles of figurehead, leader, and liaison, all of which involve dealing with other people. First, the manager is often asked to serve as a figurehead- taking visitors to dinner, attending ribbon-cutting ceremonies, and the like. These activities are typically more ceremonial and symbolic than substantive. The manager is also asked to serve as a leader- hiring, training, and motivating employees. A manger who formally or informally shows subordinates how to complete tasks and how to perform under pressure is leading. Finally, managers can have a liaison role. This role often involves serving as a coordinator or link between people, groups, or organizations. It also involves acknowledging mail, doing external board work, performing other activities that involve outsiders. The first informational role is that of monitor, one who actively seeks information that may be of value. The manager questions subordinates, is receptive to unsolicited information, and attempts to be as well informed as possible. The manager is also a disseminator of information, transmitting relevant information back to others in the workplace. When the roles of monitor and disseminator are viewed together, the manager emerges as a vital link in the organization’s chain of communication. The spokesperson formally relays information to people outside the unit or outside the organization. Although the roles of spokesperson and figurehead are similar, there is one basic difference between them. When a manger acts as a figurehead, the manager’s presence as a symbol of the organization is what is of interest. In the spokesperson role, however the manager carries information and communicates it to others in a formal sense. The roles of entrepreneur, disturbance handler, resource allocator, and negotiator, all of which relate primarily to making decisions. The manager has the role of entrepreneur, the voluntary initiator of change. Basically entrepreneur is a person who engages in the process of planning, organizing, operating, and assuming the risk of a business venture. A second decisional role is initiated not by the manager but by some other individual or group. The manager responds to her role as disturbance handler by handling such problems as strikes, copyright infringements, or problems in public relations or corporate image. The third decisional role is that of resource allocator. As resource allocator, the manager decides how resources are distributed, and with whom he or she will work most closely. For example, a manager typically allocates the funds in the unit’s operating budget among the unit’s members and projects. A forth decisional role is that of negotiator. In this role the manager enters into negotiations with other groups or organizations as a representative of the company. For example, managers may negotiate a union contract, an agreement with a consultant or a long-term relationship with a supplier. Negotiators may also be internal to the organization. The manager may, for instance, mediate a dispute between two subordinates or negotiate with another department for additional support. In addition to fulfilling numerous roles, managers also need a number of specific skills if they are to succeed. The most fundamental management skills are technical, interpersonal, conceptual, diagnostic, communication, decision-making, and time-management skills. The skills necessary to accomplish or understand the specific kind of work being done in an organization. Technical skills are especially important for first-line managers. These managers spend much of their time training subordinates and answering questions about work-related problems. They must know how to perform the tasks assigned to those they supervise if they are to be effective managers. The ability to communicate with, understand, and motivate both individuals and groups. Managers spend considerable time interacting with people both inside and outside the organization. So, the managers need interpersonal skills. As a manager climbs the manager the organizational ladder, he must be able to get along with subordinates, peers, and those at higher levels of the organization. Because of the multitude of roles managers must fulfill, a manager must also be able to work with suppliers, customers, investors, and others outside the organization. Although some managers have succeeded with poor interpersonal skills, a manager who has good interpersonal skills is likely to be more successful. Conceptual skills depend on the manager’s ability to think in abstract. Managers need the mental capacity to understand the overall workings of organization and its environment, to grasp how all the parts of the organization fit together, and to view the organization in a holistic manner. These conceptual skills allow them to think strategically, to see the ‘big picture’, and to make broad-based decisions that serve the overall organization. Successful managers also possess diagnostic skills. Diagnostic skill is the manager’s ability to visualize the most appropriate response to a situation. A physician diagnoses a patient’s illness by analyzing symptoms and determining their probable cause. Similarly, a manager can diagnose and analyze a problem in the organization by studying its symptoms and then developing a solution. Communications skills refer to the manager’s abilities both to convey ideas and information effectively to others and to receive ideas and information effectively from others. These skills enable a manager to transmit ideas to subordinates so that they know what is expected, to coordinate work with peers and colleagues so that they work well together properly, and to keep higher-level managers informed about what is going on. In addition, they help the manager listen to what others say and to understand the real meaning behind letters, reports, and other written communication. Effective managers also have good decision-making skills. Decision-making skills refer to the manager’s ability to recognize and define problems and opportunities correctly and then to select an appropriate course of action to solve problems and capitalize on opportunities. No manager makes the right decision all the time. However, effective managers make good decisions most of the time. And when they do make a bad decision, they usually recognize their mistake quickly and then make good decisions to recover with as little cost or damage to their organization as possible. Finally, effective managers usually have good time-management skills. Time-management skills refer to the manager’s ability to prioritize work, to work efficiently, and to delegate appropriately. Managers face many different pressure and challenges. It is too easy for a manager to get bogged down doing work that can easily be postponed or delegated to others. When this happens, unfortunately, more pressing and higher-priority work may get neglected. Top level managers of Quasem Drycells Ltd. play the role of Figurehead. They represent the organization outside the organization. They attend different meetings with governments and attending ribbon-cutting ceremonies of the opening day of a new plant. At Quasem Drycells Ltd top level, mid level and first-line managers play important role as leader. They shows subordinates how to work under pressure and how to complete tasks. Le3desship role is mainly for top and mid managers for their job pattern. Managers of coordination department of Quasem Drycells Ltd. work as coordinator and link between people, groups, or organization. Thus they play the role of liaison. Other mid managers like H.R.D department, Foreign Purchase, C&F manager also play a vital role of liaison. Every managers of Quasem Drycells Ltd. work as a monitor. They actively seek information from subordinates by asking them question, receiving information. The main monitor is performed by sixth monthly, three monthly and monthly meeting between top managers and mid manager. Managers transmitted information to other departments. Thus managers play the role of disseminator. Mid manager of Quasem Drycells plays the main role of disseminator as they have to fulfill the target and make it done by subordinates. All managers in mid level have to follow these roles strictly. Basically, top level managers play the role of spokesperson at Quasem Drycells Ltd. They relay information to people outside the unit or outside the organization for further plan. Here the managers not always follow the formal process of spokesperson. Sometimes they provide information in an informal way like through telephone. Top managers of Quasem Drycells are not only the play the role of entrepreneur but also mid managers play a vital role as entrepreneur. Top Managers are encouraged and allowed to come with new ideas for innovation. Thus, managers respond to the role of entrepreneur. Managers play the role of disturbance handler by handling many problems. They handle the problem in public relations like resolve conflict between two subordinates as well as maintenance of corporate structure. Operation Manager and HRD Manager play this role strictly. Top managers of Quasem Drycells locate the huge amount of resources in different projects. Then mid managers divide those resources and locate those resources where ever and when ever needed. Especially, managers who are working in finance department play the role of resource allocator. They review and revise budgets request and allocates the fund. As negotiator most of the managers plays a vital role. What we mainly find out is foreign purchase department, purchase department, C&f department and Tax matters & company affairs department have to negotiate most. Different department of Quasem Drycells Ltd.
Set overall strategic plan and operational policies. Execute other organization and deal with government. Monitoring overall organizational performance and Productivities. Meet with foreign customers and investors. So here we find no basic differences from theoretical knowledge. Implementing the policies and plans set by the top managers. Providing information and ideas for making a plan or setting a organizational goal. Giving instruction to subordinates and supervises them. Observing overall market situation and making personal plan according to the situation. Finding new areas to invest and improve. Assign to and review work of subordinates, train and work effectively with subordinates from a variety of backgrounds and with different levels/areas of training. Accomplish the quality and quantity of work expected within set limits of cost and time. Plan own work and carry out assignments effectively. Communicate with others effectively both orally and in writing in working out solutions to problems or questions relating to the work. Understand and further management goals as these affect day-to-day work operations. Quasem Drycells Ltd. makes a broad plan for one or two years in their board meeting. Then they review the plan half yearly, quarterly and monthly in different meetings. Every manager also makes their monthly, weekly and daily planes. Managers do the planning whenever they get time in a day. Top level managers spend most of the times in planning- decision making and organizing. They also spend time in leading. Mid level managers mainly spend times in organization and leading. They also spend small time in planning and controlling. First-level managers spend many times in leading and controlling. They also spend small times in organizing and planning. In Quasem Drycells not only the first line managers but also the some mid managers need these skills. Especially Operation Manager and IT manager required these skills too much. In Quasem Drycells we see that both top managers and some mid managers required these skills. Like HRD manager, Foreign Purchase manager, clearing and Forwarding manager, Purchase Manager, Marketing manager need these skills too much. In Quasem Drycells we also see that these skills are for both top and mid managers. They all need this skills too much as they have to understand different situation and different plans. Quasem Drycells managers also should have these skills to make a right decision. Without this skills top and mid managers can’t make right decision and face a problem situation. It is for mid managers and mid managers of Quasem Drycells need these skills. Without this skills manager can’t fulfill their target goal or plan. At Quasem Drycells it is important for both top and mid mangers. Because, both two managers have to make decisions in different situation. Time management skills are important for all managers. But specially top and mid manager of Quasem Drycells have vast work to perform. They have to face different challenges and have to change decision frequently. So they need more time management skills. Some first line managers of Quasem Drycells have a frame work to do, so they need not worry much about time management. When we collected information from our organization we find some different way that organization follows in their management process. What we have learned from our books is that mainly top managers are involved in planning process, others planning are not too much important. But what we have seen at Quasem Drycells is that with top managers mid managers are planning FOR the organization and some cases mid managers are making the most important planning. Top managers just set the goals and most of the time mid managers proposed that that could be our organizational goals. Top managers just approve the proposal. So here the flow of decision making is higher to lower and as well lower to higher. Organizing is allocating resources to make the organization effective to achieve the goal of the organization. That’s seems to be a work of top level manager, but at Quasem Drycells organizing is so important for mid level managers because they make their own plan to archive the organizational goal proposed by them and set by top level managers. Top-level sanction resources according to the demand of mid level, and mid level locate resources and other things together. Leading is the most important and challenging issue in managerial job. In Quasem Drycells leading is not only for the top-level managers but also for every level of management. Managers have to archive the goal set by the top managers. So all levels of managers have to lead and motivate all of his subordinates to reach the goal. They do so because they are also leaded and motivated by top managers. So leading is everywhere in Quasem Drycells. As we described at phase 2 that controlling system is different from other organization in Quasem Drycells. Because here top managers just monitor and control the mid manager whether the goal is achieved or not by meeting after three month and six months. But to achieve the main organizational goals mid managers mainly observe, control and make corrections in work. As we know from our bookish knowledge that there are three levels of manager of an organization. We also find out that Quasem Drycells also have three different level of management as it is an ISO recognized organization. But what we find out here are some differences in the position of managers at different levels. Differences are described below. From our books we know that CEO, board of directors is the top managers. But at Quasem Drycells top managers are board of directors, M.D, Company secretary, directors and GM of coordination department. So here we get some differences. Plant manager, Operations manager and division head are defined as mid manager in our academic books. But what we get from our visit is different because here marketing manager, sales manager, and Purchase managers are mid level managers. Academic knowledge says that first line managers are marketing manager, sales manager, and Purchase manager. But by our visit at Quasem Drycells we came to know that its first line managers are assistant managers of those departments and senior officers where assistant managers are not posted. From our theoretical prospective we know managers have to Perform ten basic managerial roles. At Quasem Drycells managers also have to perform those roles but there are many roles behind those. On the other hand some of those roles are not for every one because some groups of managers are assigned to perform specific role. Now we are going to discus where are the differences considering the strategy of Quasem Drycells and basic bookish things. Basically we don’t find any differences here because top managers like MD, board of Directors have this roles. The top managers always represent the organization and attend the opening ceremony of new plant. Leading is hiring, training and motivating employees to get the job done by mainly top managers as mention at our books. It’s never for top or mid managers but also for line managers and for even lower level at Quasem Drycells. That means some how most managers are leader. At Quasem Drycells all managers have liaison roles but in some departments’ liaison roles are too important. H.R.D department and Coordinating Department perform this role. We know from our bookish knowledge that top managers mainly monitor and collect information. But what we find at our visited organization is that top managers monitor everything its true but monitoring activities are frequently done by mid managers in their daily activity and monthly meetings and gather more information to serve. As described at monitor role not top level but mid level do the main job of monitor and disseminator. As disseminator role is performed by mid level Quasem Drycells managers can do finish job effectively. According to books spokesperson is a manager who carries information and communicates it to other in a formal way. But what we find on that office is not at all formal always. Sometimes they provide information in an informal way like through telephone. It is a managerial role of developing new idea for innovation. At Quasem Drycells all managers have that role. But as it is a manufacturing company so here it has a difference, and that is it has a group of employees for the development of product. It also does research to develop a new product. Here we find no difference at all because more or less all managers have to work as a disturb handler. General Manager of factory at Quasem Drycells mainly has to face this kind of problems. As we know from books managers of Quasem Drycells have the same roles. Here we got no difference at all except a little change implementations of this. According to book role of negotiator is for all managers. But what we mainly find out is foreign purchase department, purchase department, C&f department and Tax matters & company affairs department have to negotiate most. Managers of Quasem Drycells have different responsibilities for the company. Responsibilities they have are discussed below. So here we find some basic differences between bookish and practical knowledge. Because here mid managers have more responsibilities then we know from academic knowledge. So here is also some differences we can find out because thy have more responsibilities then we know. Our collected data about Quasem Drycells shows some differences about time management of different level of managers. Managers of Quasem Drycells manage their time effectively, and what we observe in different level are discussed level wise. Manager of different level needs different kinds of skills. Though all kind of skills is important for all but some of these skills are needed for some special group of managers. Now in this part we try to distinguish between theoretical knowledge about skills of managers and practical knowledge we gather from the visit in Quasem Drycells. Technical skills are important for mainly First line managers, because these managers spend most of their time in training subordinates and dealing with the technical problems. In comparison to Quasem Drycells not only the first line managers but also the some mid managers need these skills. Especially Operation Manager and IT manager required these skills too much. Interpersonal skills mean the ability to communicate with, understand and motivate both individual and group. This is mainly related with top management, but here at Quasem Drycells we see that both top managers and some mid managers required these skills. Like HRD manager, Foreign Purchase manager, clearing and Forwarding manager, Purchase Manager, Marketing manager need these skills too much. It is managers ability to understand the over all workings and environment of the organization. It is important for top and some mid managers. In Quasem Drycells we also see that these skills are for both top and mid managers. So here we find no differences. Top and mid manager’s skills of analysis a situation or problems. Our visited company Quasem Drycells managers also should have these skills to make a right decision. Here we found no basic differences. Communication skill is the skill of manager to receive information or idea and transmit it to other subordinate. It is for mid managers and mid managers of Quasem Drycells need these skills. So here is no difference with academic knowledge. It is manager’s ability to define problems or opportunities and select appropriate action to solve problems and capitalize the opportunities. The theoretical speech, and practical things also similar here at Quasem Drycells, because it is important for both top and mid mangers. The company should practice more corporate culture. Young employees with modern knowledge should be introduced to improve it’s over all performance. New technology should introduce though it has a special IT department but still now they should reduce paper work. More involvement of lower level managers should be ensure in planning and decision making process. The following facts obstructed our endeavors to create a well-organized term paper on managerial roles and skills. To do such kind of project we should consider minimum two to four company, which we couldn’t because of time constraint. Lack of books, specifically focuses on managerial hierarchy in organization, in the library. Another limitation is the lack of intellectual thought and analytical ability to make it the most perfect one.